The Academy Awards brought the Award season to a close, and highlighted the trends we’ll see throughout the year. The dominant shift can best be summed up with one word: COLOR!!! But supplementary trends - that we heralded first at The Hollywood Foreign Press Association/In-Style party at the Toronto Film Festival, back in September of 2015 – were right on the money. We noted what Hollywood would be snuggling up to in the coming months: peek-a-boos and cut outs started to appear. By the time the Miss Golden Globe party came around the uneven hem and embroidery were starting to impact. The Golden Globes, which kicks off the season in January, let us know that color had been embraced for good. The SAG red carpet had few reveals, though the cutout continued to rule. 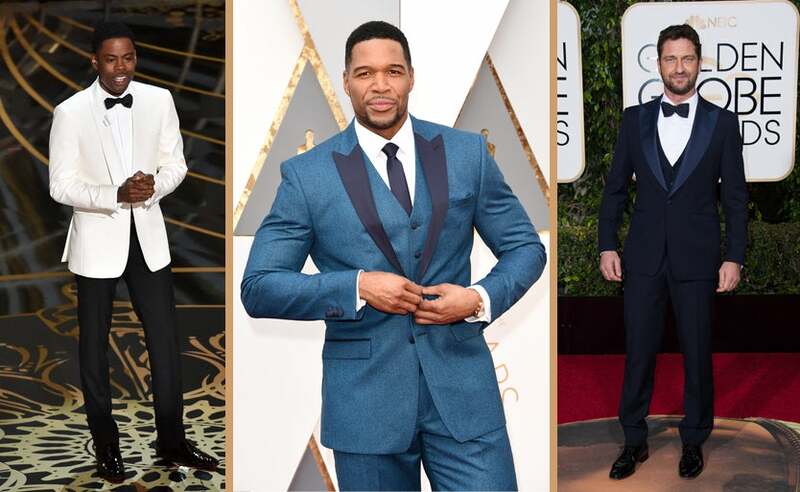 The Oscar red carpet combined the new ideas, although, disappointedly, most men, with the exception of the most daring, avant garde among them, rejected color which peaked with our Blue Gallery after the Globes that had the hottest guys embracing the hue. The one standout last night was Chris Rock who was impeccable at poking fun at the establishment and epitomizing how a gentleman dresses. Michael Strahan had the courage to take the blue that peaked at the Globes and push it in the direction of teal – the breakout color this year. Special mention should go to Alicia Vikander who not only cleaned up, taking almost every award in the supporting actress category, but also chose the perfect dress for the final night. The soft yellow captured her youth – the uneven hemline and embroidery on-trend for the season. That’s not to say black is dead. 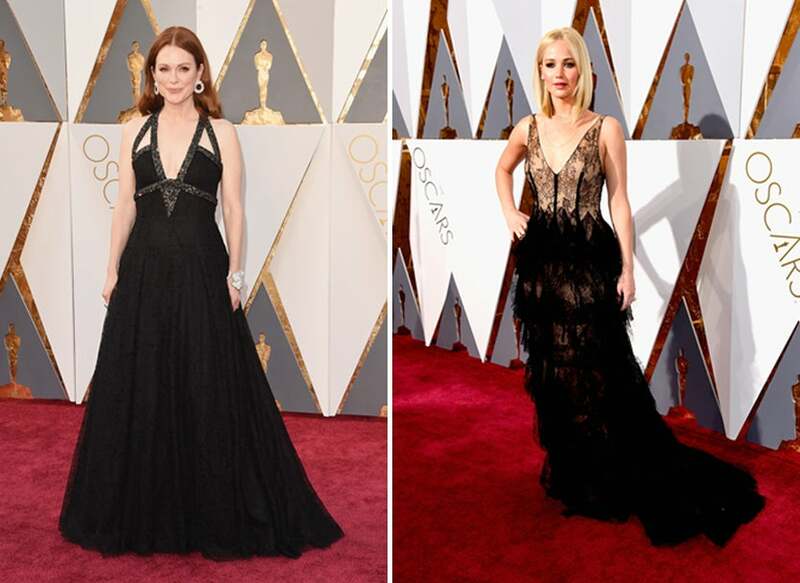 It will never go away – as is seen in these two gowns – one featuring the cutout focus on Julianne Moore, the other the illusion of peek-a-boo by Dior on Jennifer Lawrence. As we call it a wrap on the Awards Season and its red carpet, we salute the designers who created the images that excited and captured our imaginations. While noting the manner in which fashion is headed, the one thing we know for sure is that the moment a ‘feel’ is embraced, it will immediately morph and manifest anew. The most important thing is to feel confident in who you are and, no matter the style, you will be the star of your own red carpet moment. Farewell, Awards Season. See You Again Soon.